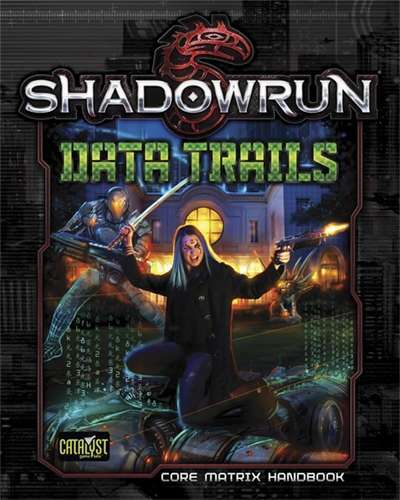 Shadowrun players of hackers and technomancers, your book has arrived. So, too, any GMs wishing for more to work with for this part of the game and the world. The Cypher System really resonates with a lot of folks, and that means a high demand for more source material. 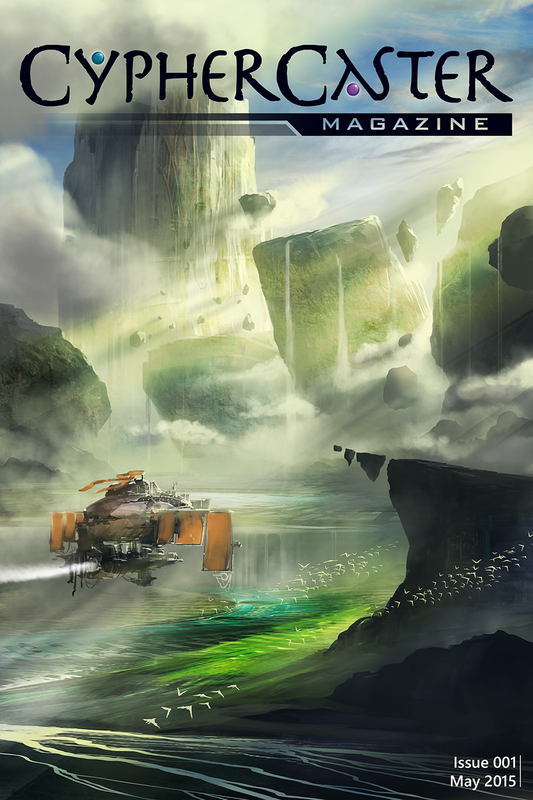 Hearkening back to the days of Dragon, here’s a new periodical that features all kinds of support and material for Numenara, The Strange, and other Cypher-driven games. My first encounter with the Apocalypse World Engine (a Dungeon World game run by Phil Vecchione at Queen City Conquest) had me thinking this game system would work very well for superheroes. Look what someone went and did! 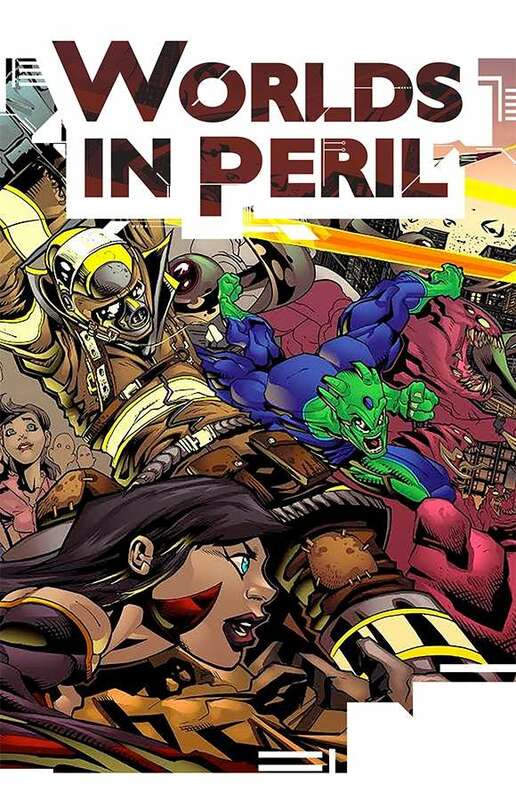 Worlds in Peril is a collaborative roleplaying game designed to bring a comic book world to life. Learn the rules to the game by reading the comic inside and follow along to create your own hero with the exact powers and abilities you want them to have by mixing and matching Origin stories and motivations. Test their limits and watch their powers expand and change as you push them to learn and grow. Go up against two-bit villains, world-dominating masterminds, and unknowable beings from different planes of existence. Find out what happens when superheroes are powered by the apocalypse! It’s an amazing time to be a Savage Worlds fan these days. You should definitely check out the Sixth Gun Kickstarter, if you haven’t already, and here’s the latest from Pinnacle for the classic fantasy setting of Fritz Leiber’s Lankhmar. Within this tome are fourteen Savage Tales to unleash on your wary band of rogues. Task your scoundrels to uncover the source of a mysterious red smoke plaguing the city before a guild war breaks out. Collect the Thieves’ Guild’s bounty on the notorious pirate known as “Black Skull.” Or steal a holy relic out from under the watchful eyes of a rising church on the Street of Gods. The adventures in Savage Tales of the Thieves’ Guild can be played independently or interwoven into an ongoing campaign. 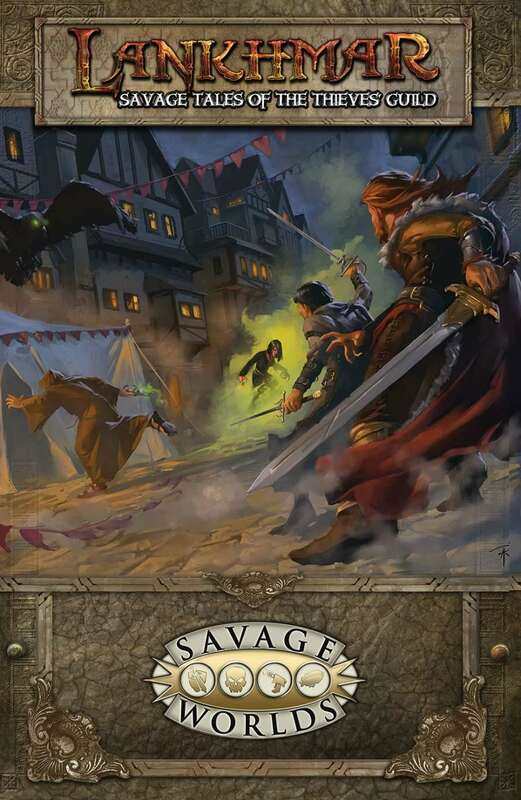 Each brings the City of Sevenscore Thousand Smokes alive and places your players in the thick of Lankhmar’s dark alleys, shady dealings, and twisted schemes. Today’s Pick is something different. No thoughts of commerce – we’ll get back to that tomorrow. Today, I share something with you all that touched me deeply. A story about an 11-year old boy who strove not only to understand the idea of the heroic sacrifice of the armed services, but to reach back 70 years in a moment of beautiful, heartfelt connection. My profound personal thanks to all who fell in service to humanity when they answered the call to battle. 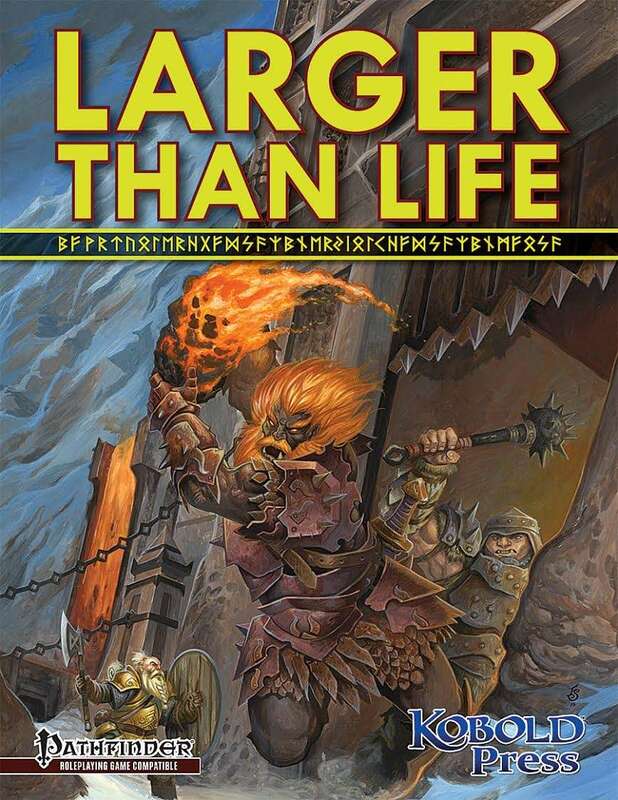 Larger Than Life: Giants for the Pathfinder Roleplaying Game gives you everything you need to bring these terrifying titans to your table. This 76-page book by RPG Superstar Mike Welham offers Thursir, Hill, Frost, Stone, Fire, Cloud, and Storm Giant NPCs—plus new spells, feats, and gear to strike terror into the hearts of puny adventurers. Sorry for the late one today, friends. Life – it gets on ya! Sample clues, special spend benefits, and a model Tactical Fact-Finding Benefit for each Investigative ability, along with information, tips, and best practices from cloning a cell phone to hosting a seance to the slang of spycraft! For the General abilities, lists of sample clues if they can be used investigatively and more key information and best practices. A new optional Mastery rule keeps your dice hot on every roll — plus over 25 new Cherries! 20 new maneuvers, from Alibi to Thrown Clear by the Blast, plus 60 Achievements to add flavor, focus, and flexibility to your play. Adaptive Tradecraft and the Cartagena Rules let you low-tech your way out of trouble — and high-action your way back into it! More spytech for any mode, from custom face masks to RFID sniffers to jetpacks to EMP weapons — and the “Q Rule” for that laser watch you’ve always wanted! Because you demanded it — a big list of guns, customized for 22 clandestine, military, and police groups from SEAL Team Six to the Swiss Guard. Plus eight Gun Cherries — never waste another 6! — and lots more gun gadgets from the CornerShot to UV-emitting bullets to net grenades! 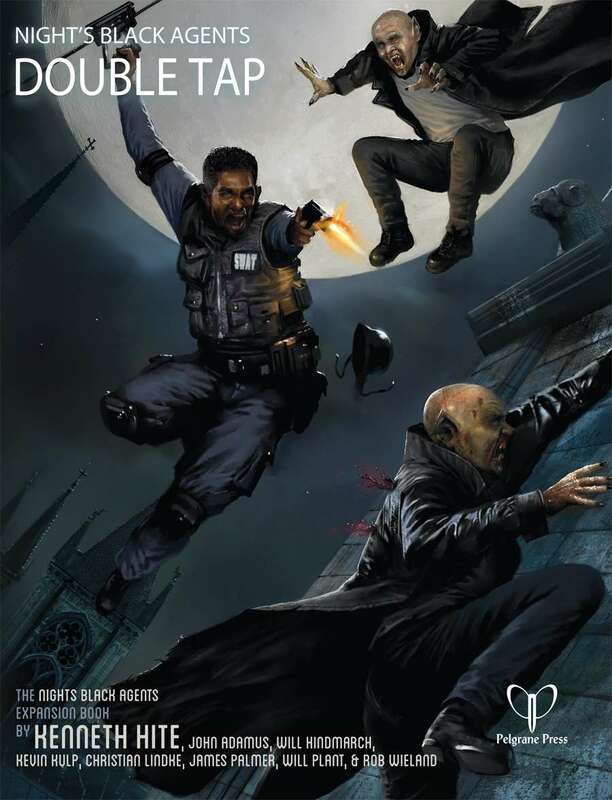 New rules for adapting the acclaimed night’s black agents Thriller Chase rules to contests of hacking, sneaking, and tracking — plus Manhunt rules for agents hunting monstrous masterminds. For Directors, 26 Cameos give you living, breathing NPCs complete with their own clues, and 26 Establishing Shots give you exciting settings to put them — and your agents — into. Discover the horrific secrets of the chupa, the ekimmu, the homunculus, and the penanggalan — and recoil from the nosferatu, a complete vampire build straddling the line between biotech and blasphemy. A complete list of vampiric powers lets you build your own bloodsuckers faster than ever. Finally, the Suspyramid models war within a Conspiracy, tips for solo-agent play let you lay on the Burn, and variant builds send your campaign to the Victorian Era, WWII, or the depths of the Cold War! So consider this the next level, a higher pay grade and higher-than-double-0 clearance. It’s time to take the fight to the Conspiracy. This time, it’s not just a headshot. Better go for the double tap. Let’s take another flight out into the Black friends, with no less an accomplished guide than the inestimable Robin Laws. Ghosts in the Black is a full-length campaign in six parts! 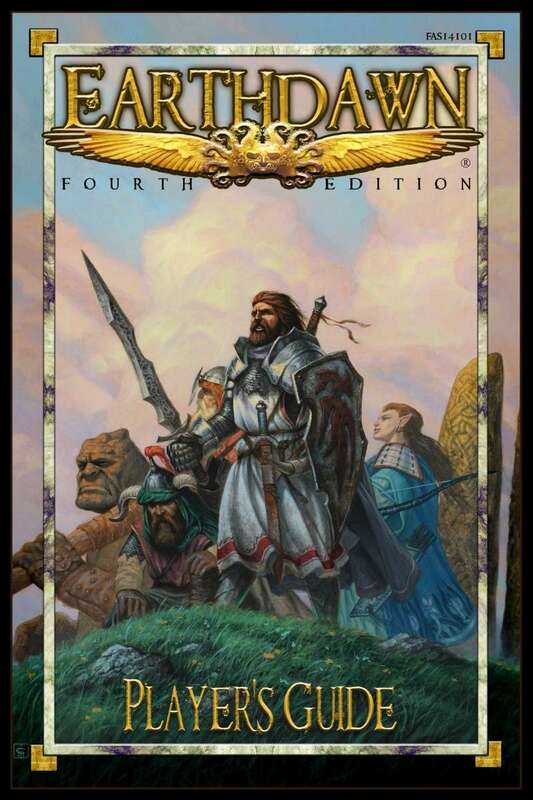 Fans of the Earthdawn setting have been through some rough seas, so to speak, as many creative visions have combined and, in some cases, clashed over bringing the best ideas they could into the game and the setting so well loved by so many. 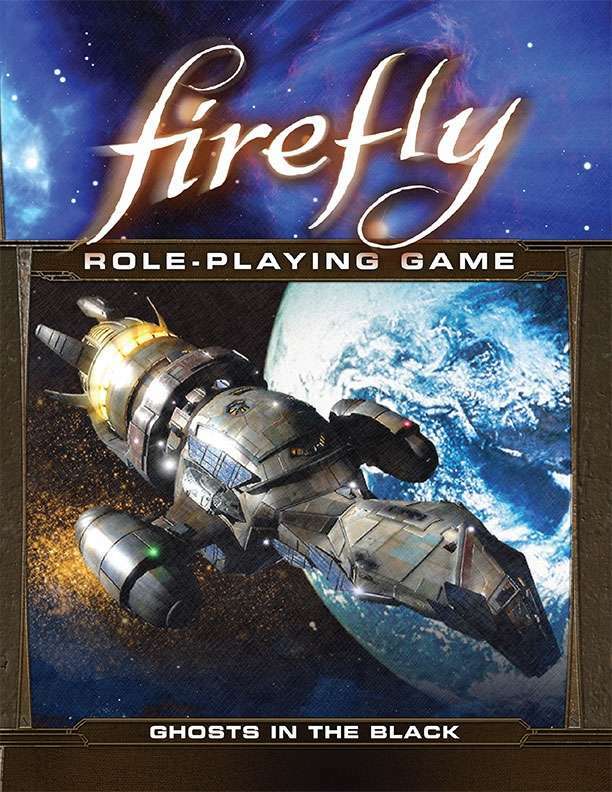 Perhaps no signal so clearly declares the return of the great name of FASA back to the gaming hobby than this release.